Some more observations from Autosport at Turns 1 and 2. The cars look difficult to drive and sound pretty good too. "Pretty much all of the cars I've seen on track look a real handful through here. They're moving around a lot and you can see the drivers really having to work. "Vettel keeps running wide over the exit kerb at Turn 2 trying to keep his foot in." Alonso: "Just went in too deep and ran wide; tried to hold it but the car wobbled on him." "Hulk just had a big wobble getting on the power out of Turn 1." I haven't managed to be happy about Ferrari yet... maybe when the season starts and my brain finally realizes that the red car is Kimi's. Bottas on his long first lapped in the 39s early on, and now in the low 41s. 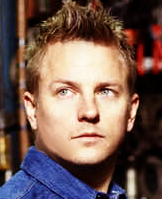 The situation will properly become more real when you see Kimi in a Ferrari. We still have to wait and see if there is actually much to cheer in the Ferrari camp, besides Kimi, I am not 100% convinced about their pace at this stage. But we'll see how it goes, it is difficult to tell. Rosberg did his best time on medium tyres, on a 12 lap stint. Gutierrez caused a red flag just as he was really starting to improve Sauber's time. Both Rosberg and Hulkenberg lowers their best benchmark times. Hulkenberg's time was done on soft tyres and he pitted immediately, while Rosberg did his time medium tyres and he didn't pit immediately. the new brake-by-wire system seems to cause problems for the teams but I'm not sure I really get it. Sutil is complaining he can change much himself anymore while driving and has to rely on engineers and the right maps but what I have read the drivers can still change brake bias, just the pedal is different, harder, as it's not hydraulic anymore and you have to get the feel for it. And now Magnussen joins the party, he also puts in a fast lap, which places him 3rd 1m37.078s. Although he has only done 11 laps for the day. Another few laps for Hulkenberg under the 1:37's. Magnussen is the first driver under the 1:36, with a 1m35.489s. I am pretty sure these cars are almost as fast as last season's cars. I bet they can go up to 1:33. But I am finding it a bit suspicious that all of the Mercedes teams are suddenly going for faster and faster times. Magnussen used soft tyres and did a 5 lap stint. Magnussen goes for it again, 1m34.910s, with the supersoft tyre.